Are you hunting for new heavyweight T-shirts? Our collection at BathrobesUK is must explore. 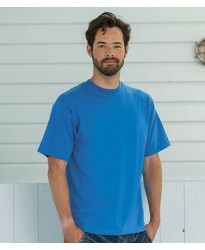 With the massive collection heavyweight T-shirts we would fulfill your requirements be it for casual use or regular use. The heavyweight Tees are much demanded amongst people due to the quality fabric and durability of the T-shirts. We have made it a point to collect heavyweight T-shirts only from the top and popular brands available on a global scale such that ultimate quality of the heavyweight T-shirts is not compromised. If you are willing to buy heavyweight Tees for yourself or for your whole group you must explore our collection which has finest products for you. Our BathrobesUK collection of heavyweight T-shirts include diverse products including camouflage Tees, cotton heavyweight T-shirts, long and short sleeve heavyweight T-shirts, T-shirts in varied necklines etc. Any of the heavyweight T-shirt that you have been looking for can now be found at our merchandising which would ultimately save your time and effort of visiting multiple places. The heavyweight T-shirts are ideal for all the seasons and thus the demand for the same remain high throughout the year. The heavyweight T-shirts are available in all the vibrant and appealing colors so that your favorite one becomes available to you in the appropriate size that fits you. Apart from offering all this we are also glad to introduce flexible customization options in terms of embroidery and printing for the heavyweight Tees. The fine fabric of the T-shirts makes it possible for the expertise to bring out the quality output. This makes it easier for you to get your new heavyweight T-shirt personalised with minimum effort as well as investment. If you are willing to order the heavyweight Tees in bulk the same can be facilitated to you at a much lower price making it simpler and easier for you to conduct promotional events.